Ladies 3/4 length sleeve blouse. 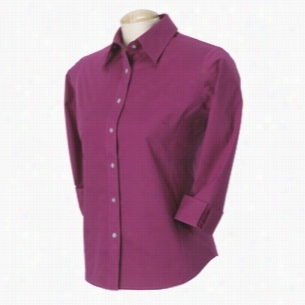 - Purple - M.
Ladies 3/4 length sleeve Blouse. Modern fit and wrinkle-resistant. Also features open collar with y-placket, dyed to match buttons, and front and back darts for shaping. 55/45 Cotton Poly. Devon & Jones Three-Quarter-Sleeve Stretch Poplin Blouse. 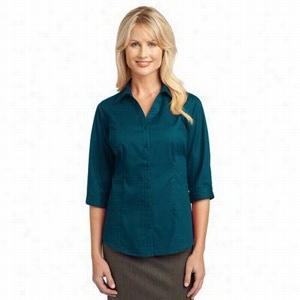 3/4 Sleeve Stretch Broadcloth Blouse. 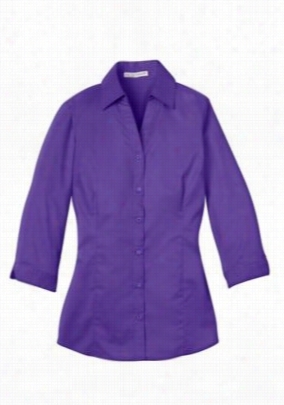 The 3/4 Sleeve Stretch Broadcloth Blouse is retail quality yet easy care and great for the office or a lady in the hospitality industry. Camo Embellished Cold Shoulder Blouse. Hey, girl. This glam top is waiting for you! Funky, fresh this plus size Blouse definitely brings that wow with a bold camo print, studded neckline and shoulder cut-outs. Add some spice to your date night style with this plus size Blouse featuring a split back and tie closure. Rock it with your cool coated skinnies for a knock-out look. Sheer Animal Tie Neck Blouse. So, I'm totally channeling your most fabulous style icon in the 70s. Glam and totally chic, this plus size blouse feels vintage, yet fresh. Striped Drama Sleeve Peasant Blouse. Time to glam up! 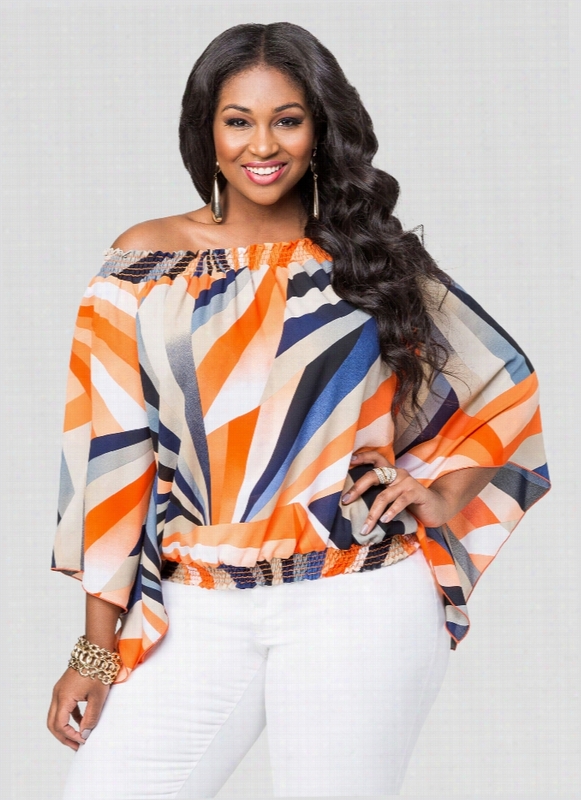 This plus size Blouse has drama sleeves and a bold and colorful print. Quite sultry, this plus size Blouse features a relaxed fit with cold-shoulder cut-outs and a surplice neckline. 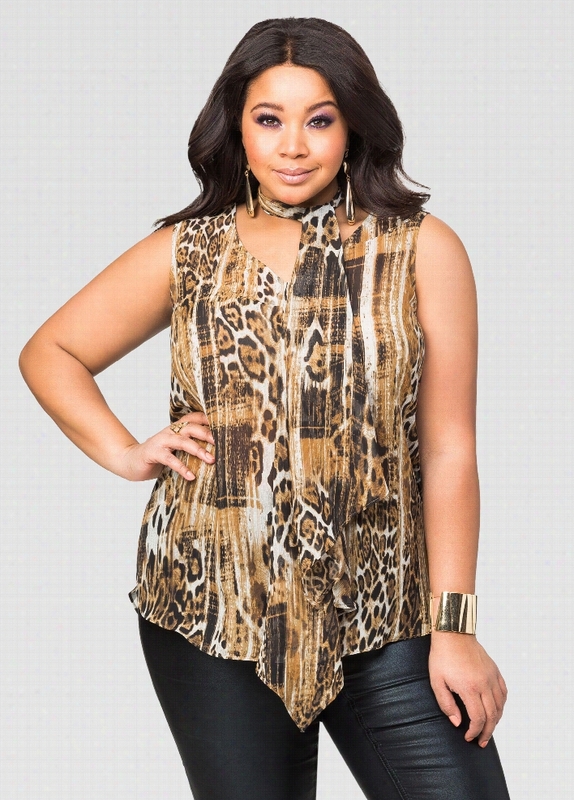 Get graphic in this bold plus size peasant blouse. A perfect way to inject some color, wear this top with your favorite trousers to work.